So you are feeling pretty good about having just signed your estate plan. Or maybe you had the forethought to have your estate planning documents drafted and signed for many years. Perhaps you have created two revocable living trusts, or a family trust, but you have never funded your trust(s), and you are wondering, does it matter? In fact, you have left all of your assets titled in joint names with your spouse, or in the names of you and another person. Or the title to your brokerage account lists the owners as you and your spouse “JTWROS” (Joint Tenants With Rights Of Survivorship). Or perhaps you have listed two names or more on a bank or brokerage account. Owning assets in a joint bank or brokerage account is a very common form of ownership. In fact, when most couples first start out in life, they frequently don’t have significant savings. It is typical for them to open a joint bank or brokerage account into which they deposit the little money they can save. Over time, however, what was once a small amount of money may have grown into quite a significant sum. The owners of joint accounts tend to feel comfortable with this form of ownership. Each party can, after all, withdraw the funds from the joint account whenever they wish, and they like the fact that the funds will automatically pass to the surviving owner of the account when one of the owners dies. So what’s the issue? Why mess with a good thing? The fact that the joint account passes automatically and outright to the surviving owner, may not be a bad thing, but it means that the asset does not pass in accordance with the terms of the trust that you have taken the time to craft, so that the money flows as you wish after your death. Your estate planning trust(s) are typically set up for the benefit of your spouse first (if you are married) and then for the benefit of your children. If your spouse does not survive you, then the trust is typically set up exclusively for the benefit of your children (or your other beneficiaries that you have specifically named). Often the money is held and administered by your trustee to pay out the funds to your spouse, in a specified manner, so that the assets in the trust qualify for the estate tax deferral (the ‘marital deduction’) or estate tax exemptions (the ‘unified credit’) if the trust is tailored in a particular manner. After the death of the surviving spouse, the funds will typically be held and administered further, in trust, for the benefit of the children and/or your grandchildren. Under the terms of the trust the money is often paid out to the children (or grandchildren) over time, as they attain certain ages, or distributed to the beneficiaries as determined by the Trustee(s). None of this happens, if the assets are held in joint names. They just pass to the survivor, missing the long term management and control provisions provided by your estate planning trust. If the assets are owned in your trust, the children’s and grandchildren’s shares are typically protected from being reached after your death by their creditors or by lawsuits. If they are not owned by your trust, but rather pass according to the survivor automatically in a joint bank account, the assets will not benefit from the protection provided by the trust against creditors and lawsuits. The surviving joint owner of a bank or brokerage account with two names on the account, is left with the assets in their own name. That means when the surviving owner dies, unless further planning steps are taken to fund the assets into trust, the assets will have to pass through probate. Probate will involve some level of court supervision and unnecessary expense. Taking assets out of joint names and funding your estate planning trusts can avoid all that. Otherwise, the tax and administrative benefits provided by your estate planning trusts may be lost. There will be no protection of the children against creditors and lawsuits. In a nutshell, leaving everything titled in joint names essentially misses the benefits of your revocable trust(s), no matter how artfully those trusts are drafted. An estate plan has to be linked to all your assets in order for it to work properly. Drafting your estate plan is one thing, but funding it properly is another. Both steps are required in order for your estate planning trusts to work correctly. There are also funding decisions to be made to integrate one’s real estate holdings and retirement plans with your estate plan. Leaving large amounts of assets in joint names, while convenient, may be the silent killer of many estate plans. With proper planning of your jointly held assets, however, together with your other assets, potential problems can be averted. For more information on this and other important Estate Planning issues, consult with a qualified professional of your choice. Myself or other members of our Trust and Estates Group are available to discuss these issues. 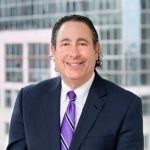 Bill Friedler is Shareholder in RIW’s Trusts & Estates Group. Bill can be reached at bnf@riw.com or 617-570-3533.